SILVER SPRING, Md. --- A brand new Pathfinder honor titled Male Ordination was launched recently as part of a GC effort to "make rigged votes stick." Pathfinders who wish to earn the new honor patch will be trained in how best to delay the Second Coming by refusing to fully use the talents of more than half the total population of Adventists worldwide. Another requirement for the honor includes reading the Bible through the eyes of centuries-old male chauvinism that did genius things like denying women the right to vote back in the good old days. 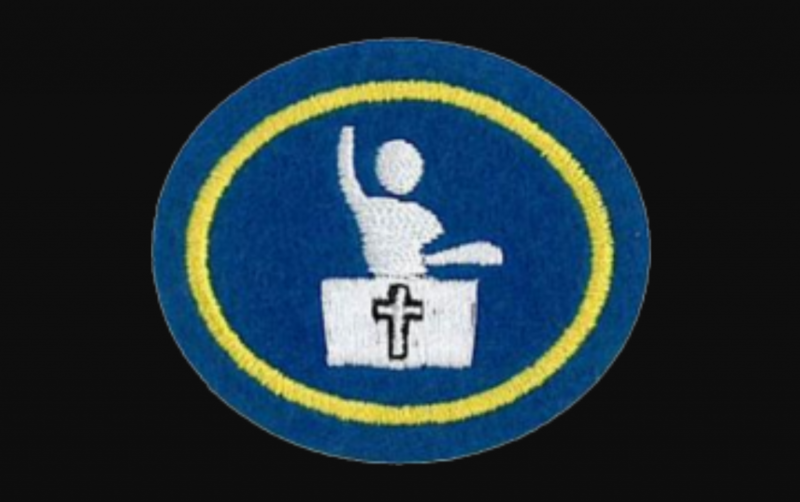 According to a GC press release, the only challenge to the rollout of the new patch appears to be the Pathfinders themselves: "For some reason Adventist kids are rejecting the new honor because they believe God created us all equal." One of the necessary requirements should be to attend the gigantic, humongous, 50,000 attendees at the 2019 Camporee. Sleep in a one person tent. Cook on an open stove. Wash the utensils in a cup of water. Stand in the extra long lines at the shower trailer. Walk for miles to the nightly programs. Collect as many Biblical coins as available. Collect soil samples from all areas of the Holy land. Eat or collect 144,000 Little Debbie cakes. And share some with me at the Camporee. See ya!